Magdalena specialises in fashion law, which she has been successfully promoting in Poland for many years. She also deals with issues related to brand protection, copyright and protection of personal rights, as well as unfair competition law. As part of her specialisation, Magdalena advises entrepreneurs in the clothing industry, including manufacturers, intermediaries, wholesalers and retailers, as well as media, creative, advertising and modelling agencies, designers, stylists, fashion show organisers, photographers, graphic designers and startups. She also represents clients in disputes before common and arbitration courts. She has over 15 years of professional experience gained at leading Polish and foreign law firms (including Weil, Gotshal & Manges), national institutions and NGOs. 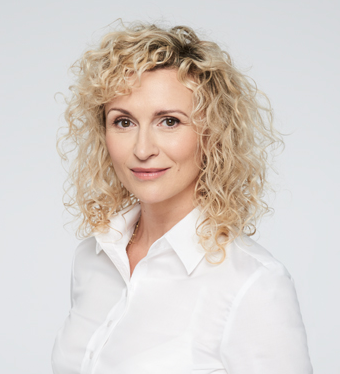 Magdalena is a qualified attorney-at-law and a judge at the Disciplinary Court of the Warsaw Bar Association in Warsaw, where she is also chair of the Department of Fashion Law. She is President of the Institute of Fashion Law, a foundation that provides across-the-board support to the creative industries, and also a mentor to young entrepreneurs including the Mentorek Club, which is part of the Women’s Entrepreneurship Network. Magdalena is a graduate of the Faculty of Law, Administration and Economics of the University of Wrocław and a lecturer in fashion law at the H. Grocjusz Intellectual Property Rights Centre. She has written many publications on the subject of intellectual property and fashion law, is a speaker at numerous conferences and industry meetings. Magdalena is an active blogger with a personal blog “Adwokata myśli nieuczesane" (“A lawyer’s unkempt thoughts") at magdalenakorol.com, and a co-authored blog “Prawo w modzie" (“The law in fashion"). In her free time she is passionate about legal marketing, travel, Star Wars and kitesurfing. co-creating the most popular blog about law for the fashion industry.